Robert “R.C.” “Doc” Hill, 83, of Bardstown, passed away Saturday September 8, 2018 at University of Louisville Hospital. 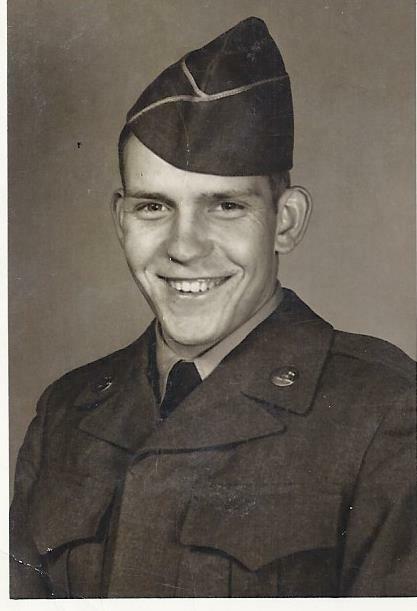 He was born September 21, 1934 in Harlan County, United States Army Veteran of Korean War, retired from General Electric after 40 years with perfect attendance, member of Masonic Duval Lodge # 6, and Woodlawn United Methodist Church, where he was involved with many church activities and decisions. He was preceded in death by his son, Larry Hill; parents, Aurther and Maude Hill; adopted parents, Robert and Annie Reed; and two brothers, Glenn Hill, and Kenneth Hill. He is survived by his wife of 61 years, Betty Parrish Hill; three sons, Terry Hill, Rick Hill, and Chad Hill; five grandchildren, Bradley, Jeremy, Lesley, Savanna, and Dylan Hill; four great-grandchildren, Hunter, Easton, Braden, and Aubrey Hill all of Bardstown; two sisters, Deloris Brewster, and Jean Strunk both of Bowling Green; and several nieces and nephews. His funeral service will be 11:00 am Tuesday September 11, 2018 at Barlow Funeral Home, with burial in Poplar Flat Cemetery. Pastor Jerry Pile will officiate. Visitation will be 3 – 8 pm Monday September 10 and 9 – 11 am Tuesday September 11 at Barlow Funeral Home. Memorial contributions may go to Versailles Children’s Home.